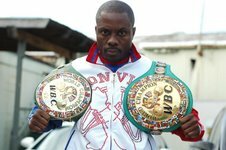 ATLANTA, GA--2 time WBC Middleweight Champion of the World, Keith Holmes, has diversified his repertoire from the ring to the recording studio with his breakout single; “This Ain’t No Lease” from his 2010 release Three The Hard Way (No Lease Records). 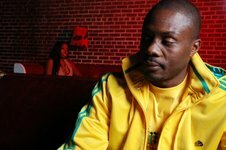 Growing up on the streets of South and Northeast Washington, DC Holmes has always been an aggressive leader in the boxing arena, but the charismatic social activist and community liaison also enjoyed a strong love and talent for music. With his hard knock life and turbulent past as his inspiration, Holmes has been writing since 1997. Much of his DC hood-tales are depicted throughout the new LP. Already impacting airwaves, “This Ain’t No Lease”, boasts Holmes’ desire to be better and set an example of independent wealth. This street anthem speaks upon the power of owning what you have and staying on top of the game. Other hits include; “I Can Be True To You”, an ode to a special lady about getting their relationship back on track, “We In The Money Game” is an up tempo track that forecasts Holmes’ financial gain in the music game, and “I Remember” is dedicated to all of the fallen loved ones in the champion’s life. Keith Holmes’ life, times and rising rap star status is being chronicled in a new reality series tentatively entitled; “The Keith Holmes Project”.